About 18 months ago, I made The 464 Project; a compilation video to mark the 31st anniversary of the Amstrad CPC464. Since then, people in the retro community have been in touch about a follow up video, and mentioned memorable games that I missed the first time around. 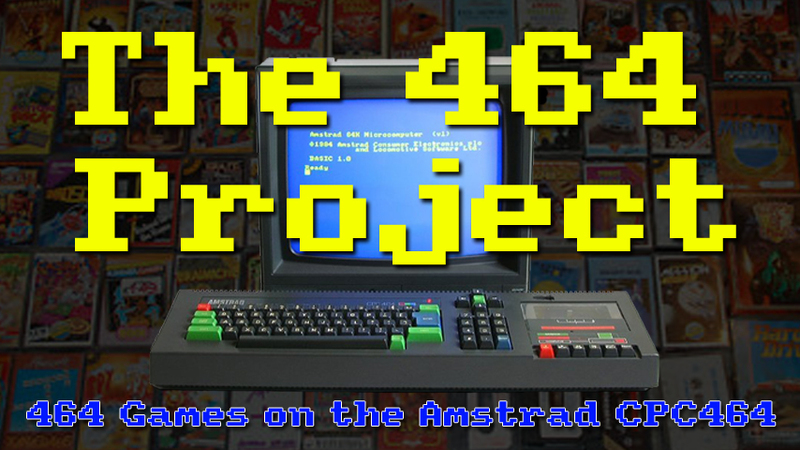 So, here is the expansion... 128 more games on the CPC464 featuring favourites like The Addams Family, Maruader, Spindizzy, Sub Hunter and many more. If demand continues, I may even create a 3rd video with the many games I still haven't shown. Until then, Enjoy this slice of Amstrad action. A full list of the games featured in this video can be found on my blog page, including the soundtrack used. Subtitles will be available soon also.